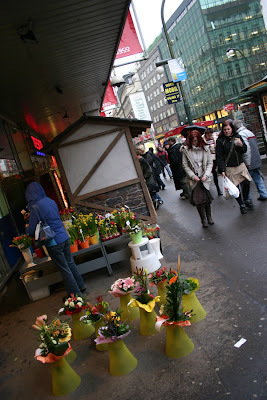 Flower shop in front of Tesco store on Narodni trida street. If you were living in Prague for lets say at least 15 years you would call this store "Maj" (that's Czech equivalent for "May" and it's pronounced similar to "my"). Now it's Tesco store and a cultural heritage. Actually you can't see almost anything from it in this shot. I'll do it better next time. Maybe when it's not raining.